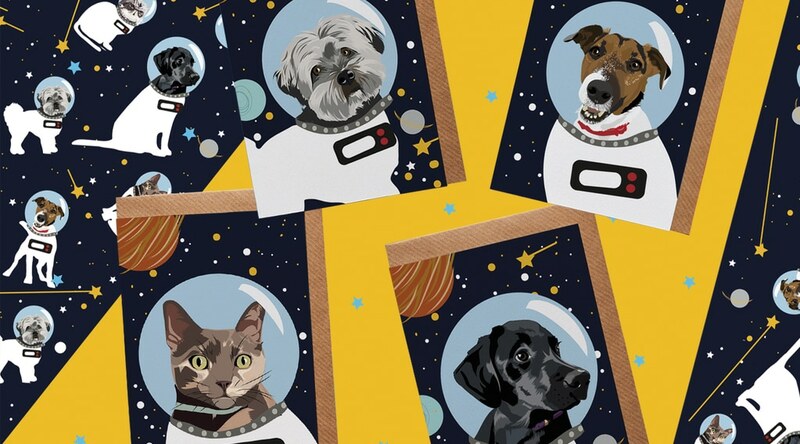 Welcome our new collection of stationery designs: Astro pets! In the studio we are so excited about the new concept because they are so unique and fun. This is a progression of the ever-growing Jenkins and friends collection that everyone has received so well. I wanted to take the pet card idea a step further and think about the pets in different situations. 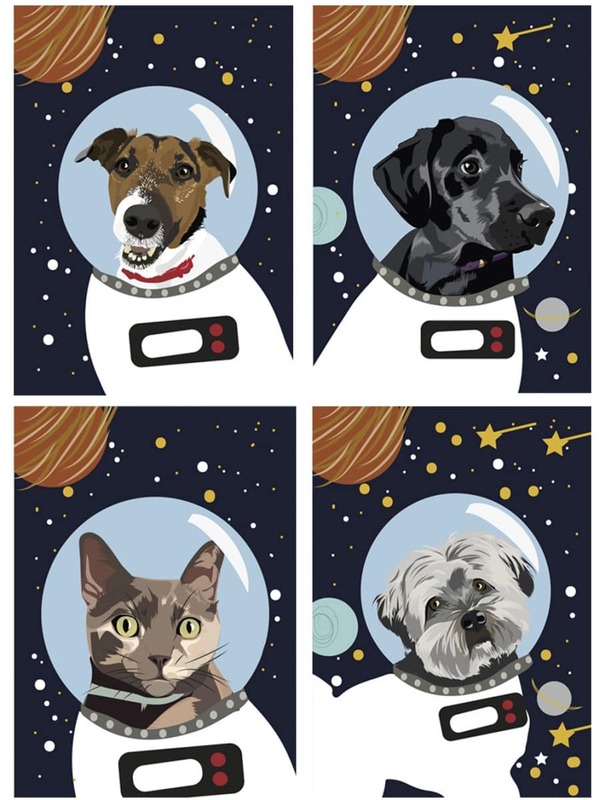 Jack the Jack Russell, Frieda Cat, Bolt the Labrador and Jenkins the Havanese (our studio dog) are some of our most adventurous and bold pets, so they became part of our outer space team. Here they are searching for extra terrestrials and learning more about far away galaxies. 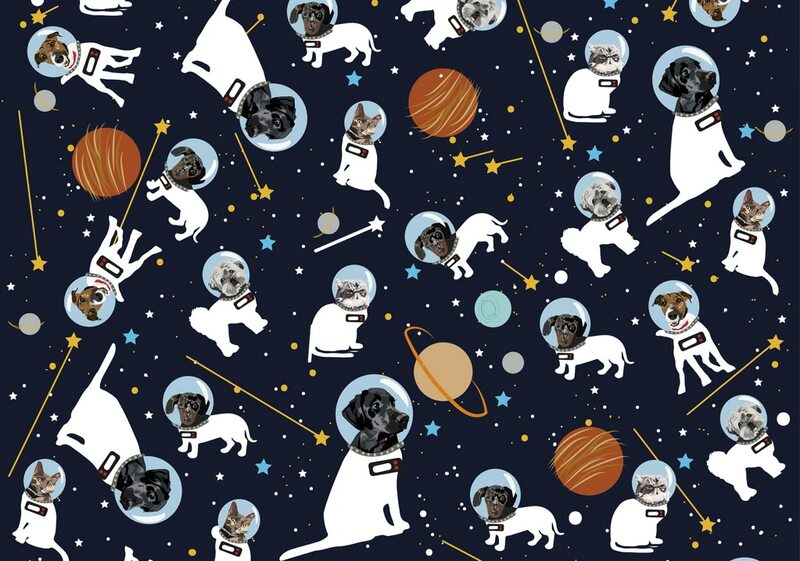 If you know someone who’s out of this world, you could complete your gift with the astro pet wrapping paper, which features our full team of astronauts exploring out in space!